A stunningly candid and revelatory love story by an acclaimed novelist and screenwriter whose return to fiction after a long hiatus will be heralded by critics and readers. In the 1970s Yglesias’s first novels, written while he was a teenager, were hailed by critics as the arrival of a young American genius. A Happy Marriage, his first novel in thirteen years, is a gorgeous and moving story about a thirty- year marriage, inspired by his own relationship with his wife, who died in 2004. 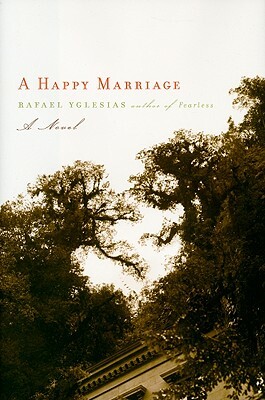 Told from the husband’s point of view, with revelatory and sometimes disarming candor, A Happy Marriage is the story of Enrique Sabas and his wife Margaret, alternating between the first three weeks of their acquaintance (a comic and romantic misadventure) and the bittersweet final weeks of Margaret’s life as she says goodbye to her family, friends, and children. Laced throughout with intimate recollections of moments of crises and joy from the middle years of their relationship, the novel charts the ebb and flow of marriage, illuminating the mysteries and magic of marital love. Neither sentimental nor cynical, and written with an intense devotion to character and emotional suspense, A Happy Marriage reveals a partnership that brings maturity and great pleasure to the lives of two people. Bold, elegiac, and stunningly vivid, A Happy Marriage will break every reader’s heart—and perhaps infuse some marriages with greater love.